The BSA released the new camping guidelines for Webelos (found in current Safe Guide to Scouting). The most important change to note is that ALL Webelos need an adult partner for any overnight camping. This means each of your Webelos would need a parent or guardian with them to attend Akela (Webelos Resident) Camp. *A $75 deposit option is available for Webelos (only) until June 1 (11:59 pm). IMPORTANT: The balance for all participants must be applied or paid online by June 1 (11:59 pm) to remain at the early bird fee. If not applied or unpaid, each fee will automatically increase by $25 on June 2 (12:00 am). Sorry, late fees will not be waived. Online payments must be made by 11:59 PM on the deadline date. Any payments mailed or brought to the council office must be processed AND applied online by 4:30 PM on the deadline date. IMPORTANT: The scout store staff only “receipts” payments. They do NOT apply them online. 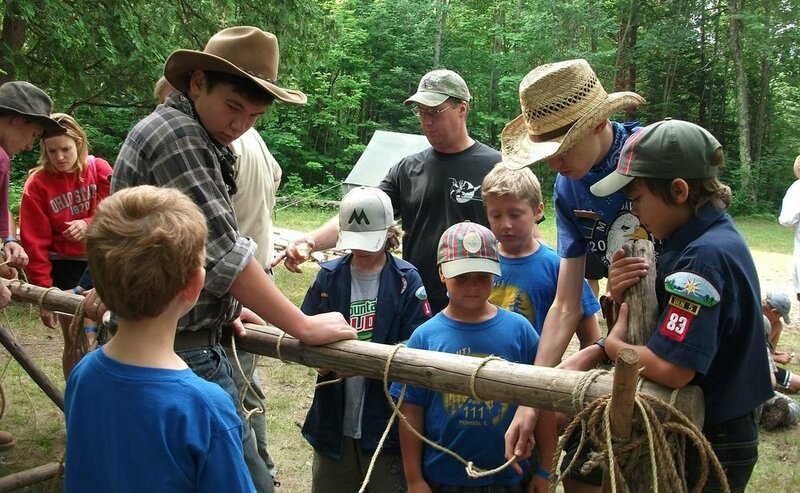 Go to the 2019 Webelos (Akela) Camp event page, then select the Akela Camp session you want to attend. NOTE: All fees must be paid-in-full for Adults and Den Chiefs. There is a $75 deposit amount option for Webelos only. Any registrations completed after those dates must be paid-in-full online. For More Information about the Webelos Resident Camp Click Here.